How Can Insurance Firms Survive? "The more risk is taken, the less risk that will occur." If the insurance company covers the risk of a person's death, that means the likelihood of death in that person. Another case, if the insurance company cover the risk of death of 100 people at once in only one region. If there is a successive death in the area, then the insurance company will be bankrupt. It is on this basis that insurance companies are looking for a lot of clients in dispersed areas. The risk of a client's death is subsidized by another surviving client. The insurance company will not cover the risk that is certain to happen or the risk is considered unsafe. Like you are out of the house when the cloudy do not carry an umbrella. If it's raining, you'll get wet. Insurance companies always anticipate the risk, how to make security first. In the event of rain and getting wet it, the insurance company will require you to carry an umbrella, you also have to wear raincoats, waterproof shoes and plastic gloves. Nahh ..., if you are still wet from the rain, at least it is not because of your negligence. In insurance terms, this claim process is commonly referred to as Underwriting process. While people who do underwriting called Underwriter . If you are still wondering how an insurance company can provide valuable and multiple protection? 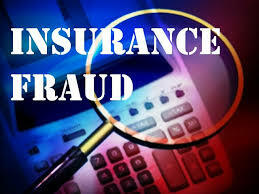 It is possible because the insurance company has support behind it, namely the Reinsurance Company. Because insurance companies have capacity (ability) which limited in accommodating many risks, then the excess risk is delegated to the reinsurance company. Currently about one-third of Indonesia's population, or 77 million people, do not have reliable deposits if they get unexpected calamities. Imagine the consequences that occur when the breadwinner of a family dies, when a child from an incompetent family should be hospitalized, or when a family-owned crop is damaged by drought or flood. Such disasters threaten the continued existence of poor households, and usually make them mired in poverty and despair. In that case 'microinsurance' can be a key helper for low-income families against unforeseen calamities, and prevent them from getting mired in poverty. Microinsurance is not a special kind of product or limited to certain types of service providers. This insurance provides an alternative risk transfer for low-income families and is offered in various forms: for example, to finance children's education if the backbone of the family's breadwinner dies; to finance the children's hospital; or to protect smallholders against the threat of crop failure due to drought or other extreme climatic events. In Indonesia, the main market is informal sector workers, such as agricultural laborers with uncertain income. For farmers, traditional rural business models that rely on agents and / or branch offices will not work properly. Due to the huge potential available, insurance companies are now beginning to be interested in making products that meet the market's needs. However, the development of microinsurance in Indonesia still encounters several challenges. Lack of knowledge on insurance in the community; the lack of variety of insurance products aimed at low-income communities; the view that insurance is only for the rich; and a lack of confidence due to the reputation of the insurance companies in Indonesia and the bad experience that befell them when dealing with insurance service providers in the past. While from the insurance service provider side, the contract is very complicated; payment of claims takes too long and is full of bureaucracy; and high transaction costs make insurance products too expensive for the poor. In order to run well, microinsurance must be affordable and attractive to low-income households. Service providers should offer products with affordable, cost-effective distribution and simpler claim payment processes. Micro insurance products should also provide high levels of availability and flexibility. Mobile phones (mobile phones) can help the distribution of microinsurance to remote and rural areas. For example, a farmer in a remote area can pay a premium for drought insurance by using a special micro-insurance application available on his cell phone. Policyholders with uncertain cash flows can pay for additional premiums when they have more funds, and pay less when their financial condition is declining. Low value assets can also be insured for the short term; a patch of rice fields, for example, can be insured against drought during one harvest, which lasts for four months. In addition to the above factors, micro insurance must also be adjusted to the conditions and domestic situation. Cooperation between the private and government sectors can produce a range of innovative products that meet demand. The World Bank in Indonesia is helping to develop this innovation by bringing together policy makers with insurance providers, and sharing knowledge and experience of micro insurance practices from various countries. Along with the availability of these micro insurance products, the community should be given information about the benefits of micro insurance products. At the same time, the skills of related institutions and potential suppliers of insurance products must also be strengthened, to create an enabling environment for microinsurance delivery. Indonesia will take a major step toward alleviating poverty, while encouraging the private sector and the economy as a whole. When bad things happen to our lives, something inevitable, some of us rely on our savings or insurance policies. Microinsurance offers an opportunity for low-income families to survive when difficulties arrive, without providing additional financial burden. Life is full of risks! Hearing the word risk, the first thing we will do is something unpleasant and should be avoided. However, some people think that risk is a challenge, because risk is not to be avoided but to be dealt with. Each has a different mind base and perspective.